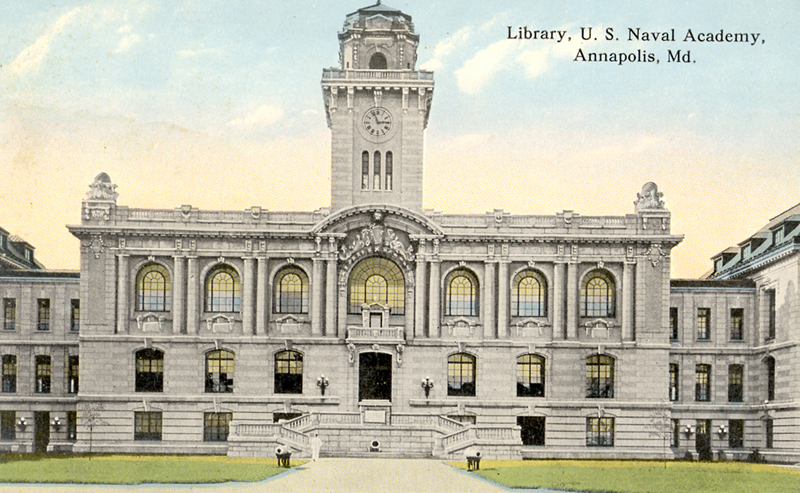 Postcard of the Academic Building at the USNA, now known as Mahan Hall. The library is no longer housed in this building. Courtesy of Special Collections and Archives Division, Nimitz Library, USNA.